A few weeks ago, I purchased some adorable Valentine's Day monster clip art from KPM Doodles and I'm a bit obsessed with it. It's perfect for Valentine's Day because it appeals to boys and girls, so it's a win/win for me. Anyways, my district is really big in to the DMA, Developmental Math Assessment. If you don't know what it is basically a screener that starts in preschool/kindergarten that assess whether kiddos have essential foundational skills to learn the math in their grade level. 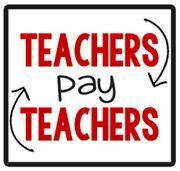 It's pretty awesome actually because you know exactly what holes kids have and where to start working to fix them. 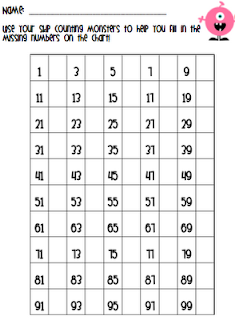 One of the skills assessed on the DMA is skip counting and while a lot of my friends have a good grasp on counting by multiples of 2, 5 and 10 to 100, anything above that is a little sketchy. 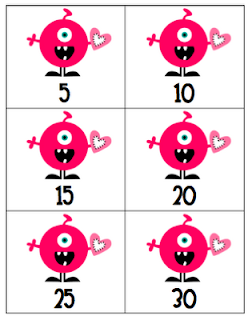 So I created this skip counting activity pack using my really cute clip art. I'm pretty sure the boys and girls in my room are going to love it. 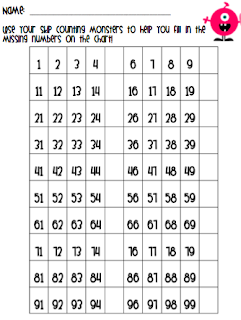 Included are skip counting cards for 2, 5, & 10 as well as number charts with the multiples 2, 5, & 10 missing and some sheets where students need to finish the pattern. 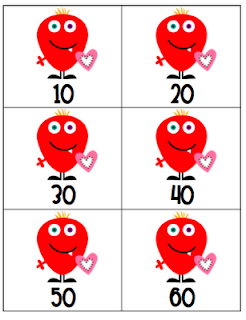 While my kiddos will be working with all the cards in the sheets in the activity pack, this activity pack can easily be modified to meet the needs of your kiddos, especially if they aren't quite ready to skip count over 100. This looks really cute! I love KPM Doodles!! Thanks, Sandy! 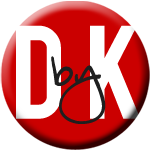 I love visiting your blog too! :) Your sweet comment made my evening! 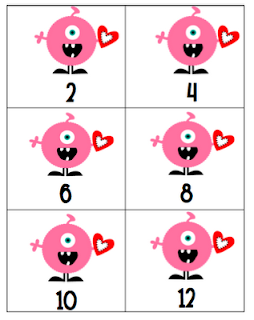 Love the monsters - too cute! 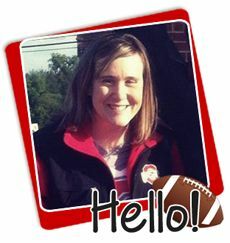 I'm a new follower!